TOKYO (Sept. 15) – Toyota Verblitz and Yamaha Jubilo top the Red and White Conferences, respectively, as Week 3 of the 2018-19 Japan Rugby Top League Season came to an end Saturday. 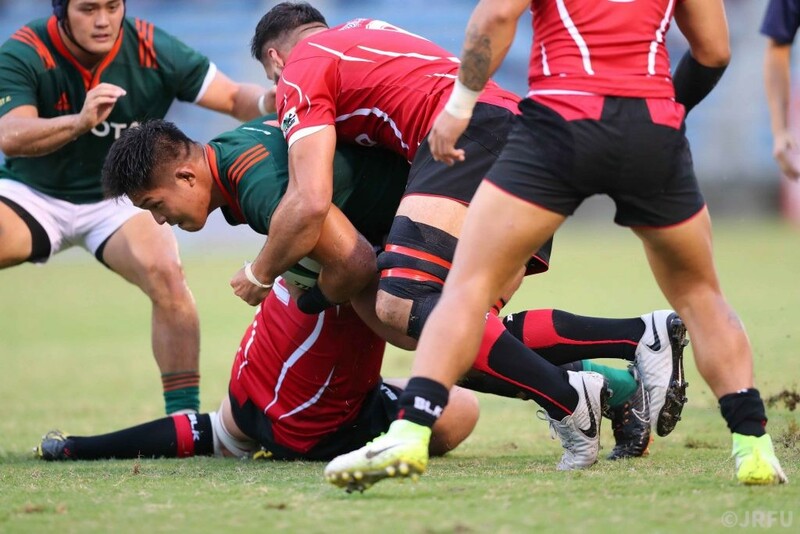 Two tries from captain Kazuki Himeno helped Verblitz down Hino Red Dolphins 36-14 in the first game of a doubleheader at Prince Chichibu Memorial Stadium. The South African trio of Carl Wegner, Gio Aplon and Lionel Cronje also touched down for Toyota as Jake White’s side ended the weekend with 11 points, three more than Kobe Kobelco Steelers (who have played one game less). Joining Kobe on eight points are Suntory, who lost to the Steelers on Friday night, and Toyota Industries Shuttles. Leon Holden’s Shuttles won their opening two games but came unstuck against NTT Communications Shining Arcs, who won 64-26 with Garth April kicking 14 points. NTT Comms have seven points and Hino are on six, one more than NEC Green Rockets who beat the winless Munakata Sanix Blues 24-15 on the back of two tries from Scott Higginbotham. Yamaha Jubilo head the White Conference with 14 points following a 34-16 win over Honda Heat, in which Viliami Tahitua scored two tries in the last 15 minutes. Panasonic Wild Knights are second on 13 points after Takuya Yamasawa helped them to a 31-24 victory over Toshiba Brave Lupus. The 23-year-old flyhalf scored two tries, four conversions and a penalty goal in a display that delighted head coach Robbie Deans. Ricoh Black Rams are third on 10 points following their 36-15 over Coca-Cola Red Sparks in which Shuhei Matsuhashi bagged a brace of tries, while Kubota Spears are fourth on six points after Gerhard van den Heever scored a try and two penalty goals to lead them to a 14-3 win over Canon Eagles.